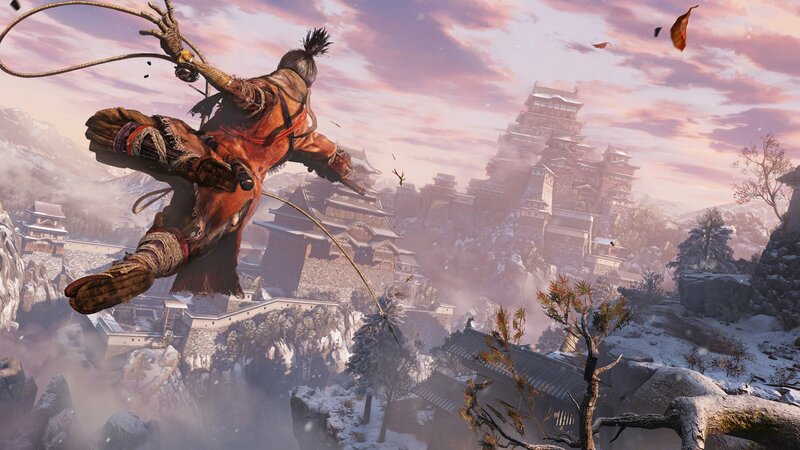 A step-by-step guide on where to find Malcontent's Ring in Sekiro: Shadows Die Twice. As you play through Sekiro: Shadows Die Twice, you’ll find yourself needing to track down certain items, including Malcontent’s Ring. With Malcontent’s Ring, you’ll be able to upgrade your Malcontent Shinobi Prosthetic. If this is one of your favorite prosthetics, it can be well worth taking the time to grab Malcontent’s Ring. Wondering where you need to go to get this upgrade material? Read on to learn where you can find Malcontent’s Ring in Sekiro: Shadows Die Twice! Malcontent's Ring can be acquired by defeating the Shichimen Warrior enemy in the Guardian Ape's Burrow in Sekiro: Shadows Die Twice. In Sekiro: Shadows Die Twice, you unlock the opportunity to pick up Malcontent’s Ring after you beat the Guardian Ape. Remember to rest at the nearest Sculptor’s Idol, proceed forward, then open your map. On your map, the Sculptor’s Idol that marks the Guardian Ape’s Burrow will show as grey. Upon seeing this, fast travel to the Sculptor’s Idol in the Hidden Forest, then grapple up to the nearest ledge to re-enter the Guardian Ape’s Burrow. Inside, a new enemy will be available in the form of the Shichimen Warrior. Similar to the Headless, the Shichimen Warrior is an apparition which requires the same type of items to defeat. For more on how to defeat apparitions using Divine Confetti and Pacifying Agent, be sure to recap our guide on how to beat the Headless in Sekiro: Shadows Die Twice. Once you defeat the Shichimen Warrior, you’ll receive Malcontent’s Ring as a reward. After that, simply head over to the Dilapidated Temple and speak with the Sculptor. Exchange Malcontent’s Ring, and you’ll be able to upgrade one of the skill nodes for your Malcontent Shinobi Prosthetic Tool. Doing this will also require Sen, and if you’re struggling to earn Sen, we also have a guide on the best Sen farming practices. For a visual guide on where to find the Shichimen Warrior and how to defeat this enemy, check out the video below courtesy of YouTube user Fextralife! Now that you know where to find Malcontent’s Ring and what it’s used for in Sekiro: Shadows Die Twice, be sure to check out some of our other guides including where to find the Loaded Umbrella in Sekiro: Shadows Die Twice, how to upgrade your Shinobi Prosthetic Tools in Sekiro: Shadows Die Twice, and where to get Sake in Sekiro: Shadows Die Twice.